We are a team of developers, designers, and innovators with a wealth of experience and expertise. With every product we develop comes a level of personalization, care, and expertise that helps elevate firms and increase their connection with their clients. Last year was kind to us, and we are pleased to share that we are starting 2019 off on the right foot. 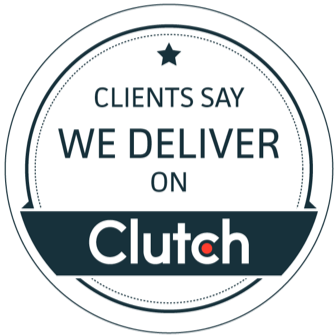 Although we don’t do this for the praise, it is nice to be recognized every once in a while, and we are pleased to share that we have received even more positive praise on Clutch. Clutch is a ratings and reviews platform for B2B service providers, offering insights and recommendations on top firms and vendors. We are featured on their directory of the top IoT developers, noting our affordability and the tight-knit size of our team. During the whole process, there was a common goal, and they were highly engaged. For me, it was important that they didn’t want to sell us a product that they already had. They wanted to develop the program with us. They asked us what we needed and tried to develop it according to our requirements. We attempt to gain a holistic view of each project and the challenge that spurred it, and we appreciate that our clients have taken notice. With already two reviews this, we cannot wait to see what else our clients have to say, and we look forward to using their feedback to improve our work. In addition to the praise we have received on Clutch, we are also featured on their sister-site, The Manifest. The Manifest helps small to midsize firms identify and address their business challenges, providing industry insights, how-to guides, and recommendations of top service providers. They listed us as one of the top software developers in Poland, helping solidify our reputation as a proven digital partner for firms of all shapes and sizes. And as much as we appreciate having a strong reputation, we recognize the importance of helping our clients see our quality in addition to hearing about it. We are incredibly proud of the work we do and the ways that we push the envelope of quality development. Thank you to our amazing clients, we could not have done this alone and your support means so much to us. We started the year off strong and we cannot wait to keep going.